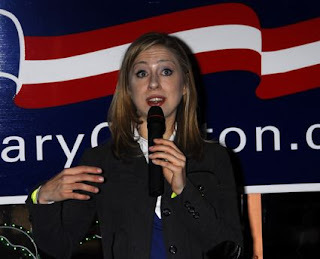 Chelsea Clinton looking more like Hillary these days than Bill, thank God. Story and more photos at www.PhillyChitChat.com (You don't think I can go to bed at 3AM and then get up for work at 8AM and fit two blog entries in, do you?) Have a great weekend. I will update the Lauren Graham movie experience over the weekend in between gigs. Who's going to NYC for the Rolling Stones screening on Sunday?